Limebase » Being a DJ today, what does it mean? For the next series of posts, I’ve invited my long time friend, talented DJ and producer, Cyril Léger to share his thoughts about what it means to be a DJ today. He has been in the business for more than 20 years now, has produced numerous tracks, and hosts a monthly podcast. We met in 1994 through one of the electronic music events I helped organised in Montreal, Canada – Neksus Project. I hope this will help aspiring DJs. 20 years ago, the electronic music scene existed because people were there to dance and only wanted to do that. This scene was composed of people from different musical, ethnic and social backgrounds. They came together to get lost in the maze of the psychotic and hypnotic music for the time of one night. A DJ meant for some, being a “guru” of an inner journey for the length of his DJ set or on a less intellectual level, being a “groove maker”, making sure that the dancefloor doesn’t empty. There was no Internet, no social media – only DJs and those who wanted to become, the passion for the music, the vinyls, some magazines, some hundreds of labels, the first radios dedicated to electronic music and demo tapes that circulated around the world that allowed DJs to mix everywhere! I love telling this story of the people who have asked me this question about what I did in 1989… “What do you do in life? DJ. Really? … What is that?” In the 2000s, people would reply “DJ… haaa … you too! ” That explains very well all the work that the DJs have done to promote electronic music across the world. Today, if you want to mix outside your local town, you must be a producer. It is not necessary to know how to mix! This is the irony of our activity!!!! 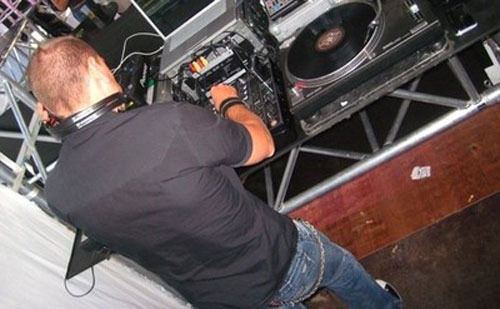 It is not uncommon to have been to a music event and listen to great producers who turned out to be very mediocre DJs! Why does this paradox exists today? Money and DJ fees. Clubs must get a return on their investment. For this, they hire headliners ensuring that their venue will be full during the event. How do DJs become headliners? They are in the limelight and get a lot of public attention. Why are they getting the public attention? Because they are talented producers that produced many tracks and some of their releases have become real electronic music hits! Does that mean that anyone can buy the necessary equipment and mix? Yes. Does it make them DJs who know how to entertained a crowd? No. Being a DJ also means being master at transcending music, make the fans feel the music in ways they never experienced before.